Film ► Zootopia - "It's called a hustle, sweetheart." A fast-talking fox is framed for a crime he didn’t commit in Walt Disney Animation Studios’ “Zootopia” (working title)—in theaters in 2016. After Big Hero 6 is released, WDAS will take a year off before releasing two films in 2016. 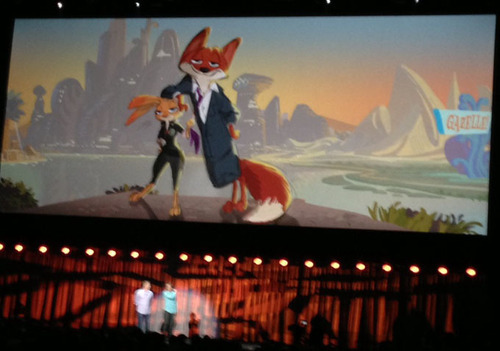 The first is currently called Zootopia, which will be directed by one of Tangled‘s co-directors Byron Howard. This film will star Jason Bateman (who previously been penned to voicing a character in this film) who is supposed to voice a fox character. 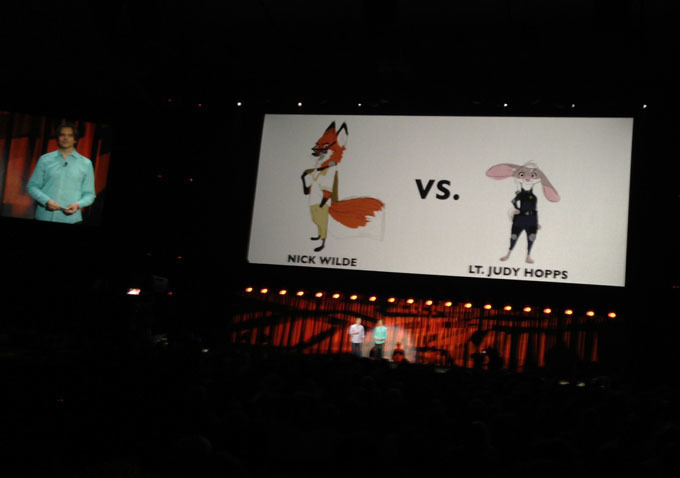 “Then a big announcement came: “Zootopia” is named as the 2016 Walt Disney Animation Studios film. It’s an original from “Tangled” director Byron Howard – a buddy action comedy set in animal world where humans never existed. That means in this world, animals designed all architecture and design elements with locations like Tundra Town, Sahara Square, Rain Forest, Wild Times, Anamalia, The Canals, and Burrow Borough. Natural elements inspire locations, like a hotel that looks like a mountain or a palm tree. I think it looks fantastic. It feels a lot like 70s-80s Disney with the plethora of anthropomorphic animal films. I've missed films with animals and this fox looks like true cool guy. what was the last disney animated flick that had talking anthropormorphic animals and no humans? This film already looks like it has more personality than all four of those films...Something that would definitely catch the eyes of all demographics. Definitely will look forward to this. Though Disney has a history if taking the individuality out of some recent films. But no, I will not be cynical about this. Love that fox! Dinosaurs is good to watch once but never again. Crap! Forgot about that xD Well then just three films, then...I have only seen the film once and I nearly fell asleep on it because it was so boring. I actually sort of did! I haven't finish that film yet but what I saw impressed me. Finish it. It's really funny! Nick seems so badass. This film sounds awesome. Seems like it'd be an interesting film. lol Having trouble telling if some of the rabbits in the image have one eye or two very small ones. considering the last one "Robin Hood" was made decades ago. Would be cool if it's done in the style of its key visual. Makes me think they're using the same technique they used for Paperman.